1857-1862 autograph album that belonged to Ellen Bickel of Jonestown, Pennsylvania, with some of the sentiments left by young women who attended the Linden Grove School, presumably Ellen's schoolmates there. 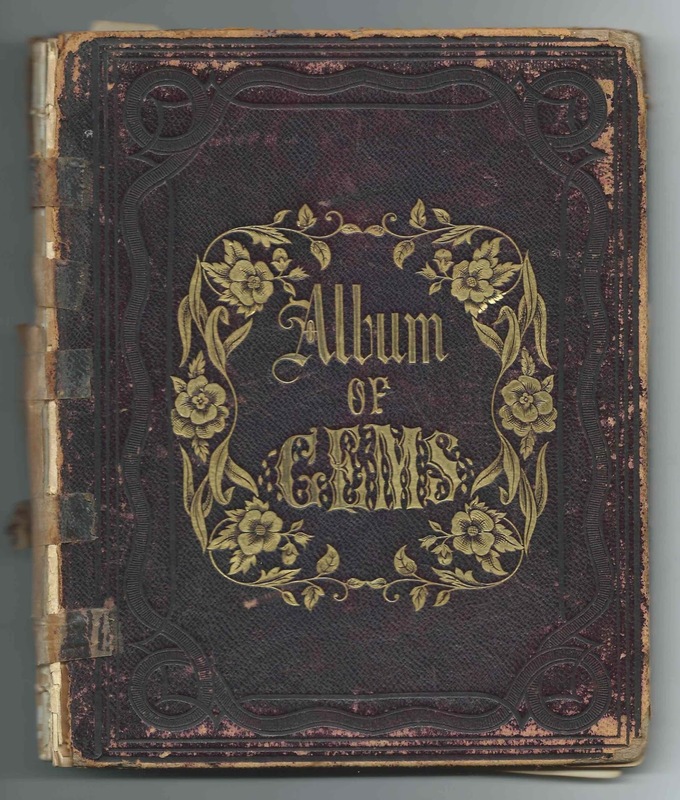 The album measures approximately 7-3/4" x 6" and contains the sentiments of nearly 40 of Ellen's relatives, friends and schoolmates. An alphabetical surname list and an alphabetical list of the signers, together with any personal information they offered, appear at the end of this post. 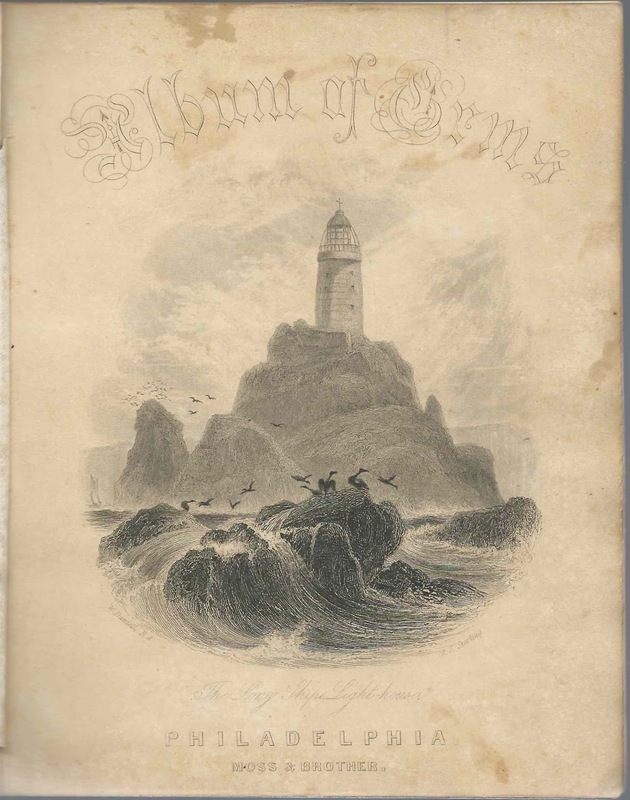 The album was published by Ross and Brothers of Philadelphia, Pennsylvania, and contains five engravings interspersed throughout. Additionally, an inscriber whose initials were W. R., decorated two pages, one with acorns and another with flowers. 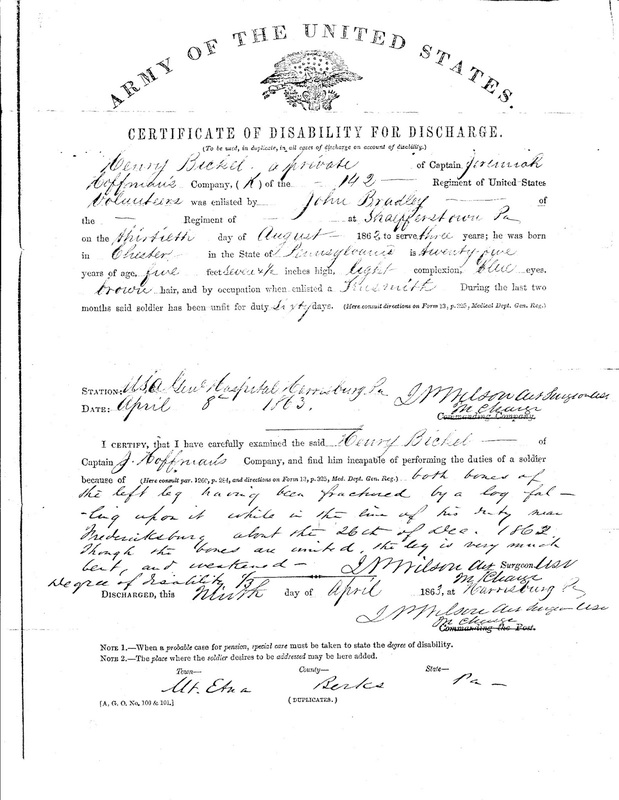 Ellen Bickel was born January 10, 1845 at Jonestown, Pennsylvania, the daughter of Samuel Eichelberger Bickel and Maria Ann (Rank) Bickel. One page was signed by Papa, presumably Samuel Eichelberger Bickel. As noted above, several inscribers mentioned Linden Grove and Rocheville Room. 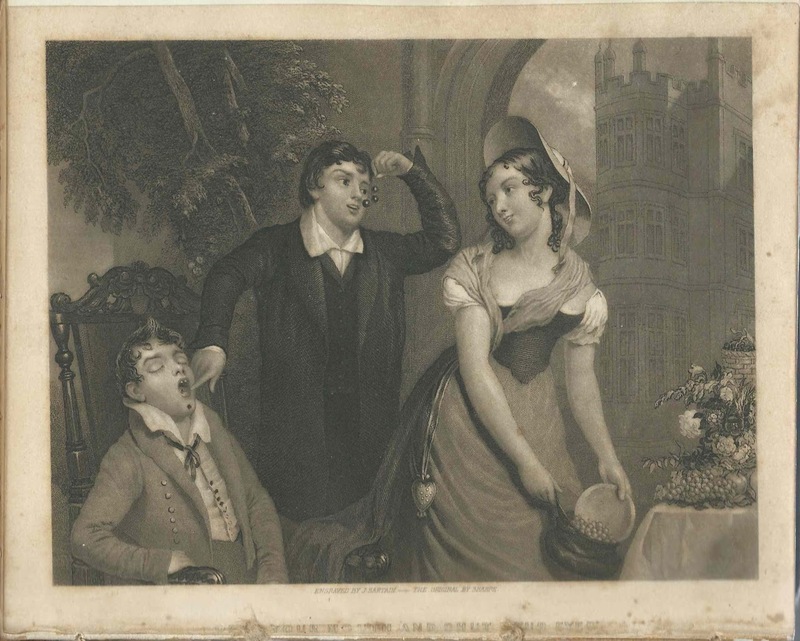 One of these was Emma Grice - though I'm not sure of her surname and welcome readers' interpretations. She mentioned Lancaster, so it's possible that Linden Grove School was located at Lancaster, Pennsylvania. Two inscribers indicated they were Ellen's roommates: L. C. of Uniontown and Maggie Cummins "from Delaware". I haven't found a record yet, but sometime in the 1860s, Ellen married Warder Morris Weidman, son of Jacob Barge Weidman and his third wife Elizabeth Chambers (Murray) Weidman. Warder Morris Weidman may have inscribed the last page of the album, as that page appears to have the initials W. M. W.
Ellen and Warder Morris lived at Jonestown, Pennsylvania, and Lebanon, Pennsylvania, and had at least two children, daughters Maria Weidman, born in 1867 at Jonestown, and Elizabeth Murray Weidman, born in 1869. Warder Morris Weidman died in 1895, and Ellen (Bickel) Weidman in 1928. They're buried at Mount Lebanon Cemetery at Lebanon, Pennsylvania. If you have corrections and/or additions to the information above, please leave a comment or contact me directly. 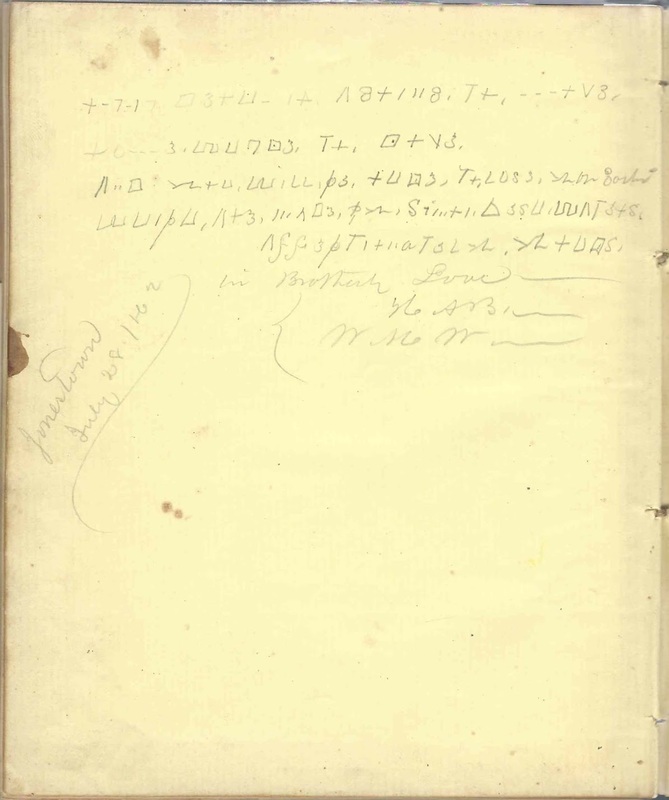 Ellen's pastor, A. Romich, presumably Abraham Romich, inscribed a page at Jonestown, Pennsylvania, on November 2, 1857. 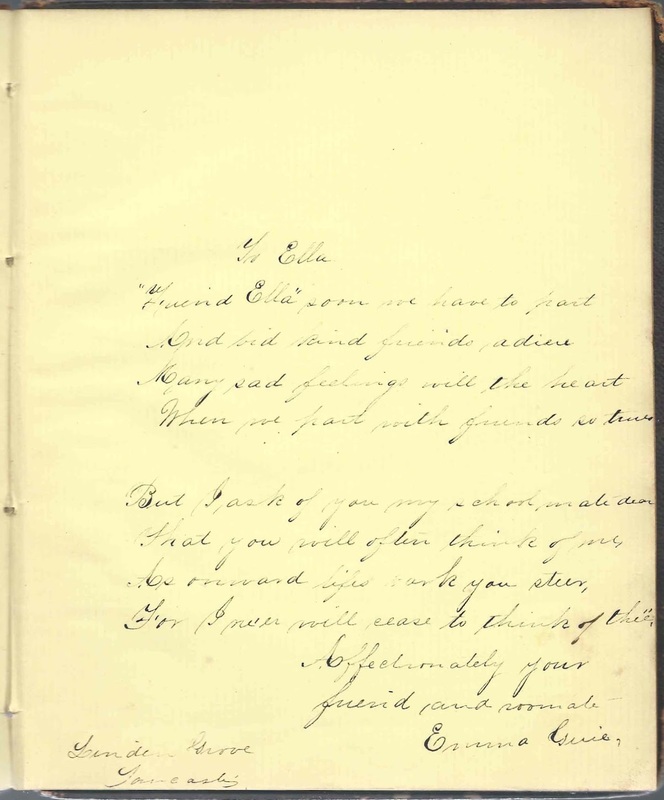 Ellen's teacher, I. S. or J. S., inscribed a 2-page sentiment on June 12, 1857.
? Bickel  C ? E ? Forrer Grice ? Hess L ? Peel R ? S ? W ? W. W. M., signed at Union Forge, Pennsylvania, in February 1859. If the letters are actually W. M. W., the inscriber could have been Ellen's future husband Warder Morris Weidman. Sydney of Hollidaysburg, Pennsylvania. Presumably Sydney Ellen Keith who married Moses Aaron Brown. Brotherly Love, H. A. 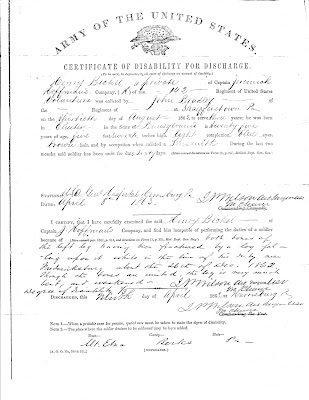 B., W. M. W., signed at Jonestown, Pennsylvania, on July 28, 1862. Not sure of the H in H. A. B. Interestingly, Ellen's future husband was Warder Morris Weidman. "Your affectionate Papa; Samuel Eichelberger Bickel. Maggie Cummins, signed on December 17, 1860; "from Delaware". Ellen's roommate. Belle Peel, signed at "Rocheville", on December 4, 1860. Rocheville may have been a school building or dormitory. Romich, inscribed at Jonestown, Pennsylvania, on November 2, 1857; "your affectionate pastor". Presumably Abraham Romich. Hannie E. S., signed on December 5, 1860; Ellen's schoolmate. Not sure of given name. Laura Eugenia Weber, signed in 1860; page written in German.